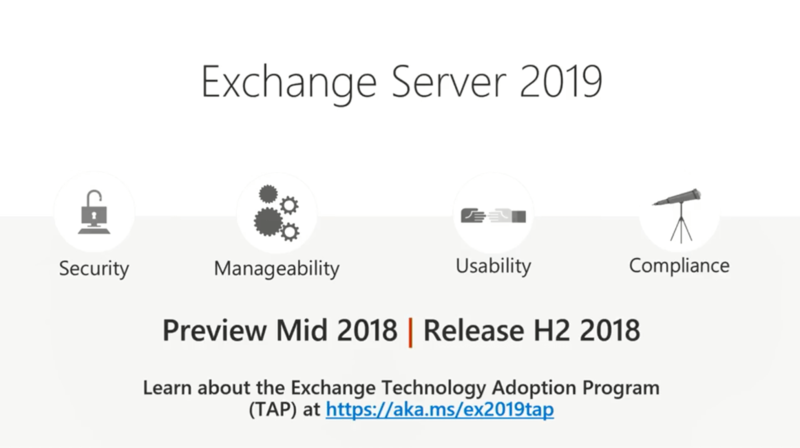 This article is all about the newly, going to be released Exchange Server 2019 and all aspects related to it. Basically, to make users acquainted with the services they are going to get facilitated with this new version. The attempt is made on the base of pure assumptions with a sight on previous versions and announcement. By looking at this slide released at the conference, it can be inferred easily that Microsoft has integrated these 4 pillars (Security, Manageability, Usability & Compliance) in new Exchange version environment. Some more and vital information that we got here is the planned date or time for Preview of Exchange 2019 in middle of year 2018 and expected release during second-half of year 2018. Prior to predict about the Exchange 2019 features involvement and generate any statement, it would be nice if we understand the basis for such predictions or assumptions. The following points makes the base for the possibilities of features integrated in Exchange 2019. It is to be stated clearly that the following points do not claim their certain existence in Exchange 2019. 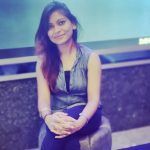 They are completely assumption-based but are highlighted to assist users having a brief perception about their new Exchange version 2019. The Server role architecture remains constant. In Exchange 2010, highly available and resilient Database Availability Group (DAG) is marked responsible for HA/SR in Exchange Online. Edge transport will be available as a role to fulfill all the requirements of the users. Outlook 2013 will be the minimum client support and could be out of mainstream once Exchange 2019 RTMs comes into existence. There is quite less possibility for early launch of Exchange Server 2019 as it requires N-1 clients for Exchange Server 2019. They may continue supporting Outlook 2013 with update launched soon for better performance. Features associated with public folders will remain same though the improvement in its scalability will be experienced in new Exchange 2019. Hybridization will be easier with improvements in cross-premises challenges of hybrid deployment of calendar sharing, delegates permission, mailboxes permissions, etc. Outlook update is highly expected for recent Exchange Online users experience. All the minimum requirements for operating system and Active Directory (out of mainstream support) will be excluded. So, it is expected that Windows Server 2012 R2 will be the minimum support as Operating System and Active Directory for Exchange Server 2019. Just like the improvements in migration capacities of Exchange 2013 and Exchange 2016, migration will be quite seamless in Exchange 2019. The depreciated features in Exchange 2016 version will be completely absent in new upcoming Exchange 2019. We can consider that MAPIhttp protocol will completely replace RPC-over-HTTP. As MAPIhttp is compatible with all Outlook clients in mainstream or with extended support, retaining RPC-over-HTTP is of no use. The new Exchange version will include efforts in making improvements in efficiency out of the database engine. Microsoft will always give time in working Exchange Online better to aid On-premise users as the popularity of On-premise Exchange is at par within a short time. A light on the most expected features of Exchange 2019 had been thrown which is certainly going to be helpful for the curious users. The users may or may not find any of the above-mentioned features in the coming up Exchange Server 2019. But, at least, having prior knowledge about the expectations of Exchange 2019 could develop a sense of confidence and interest in future users of Exchange 2019. Get ready to welcome Exchange 2019 soon with all your expectations!